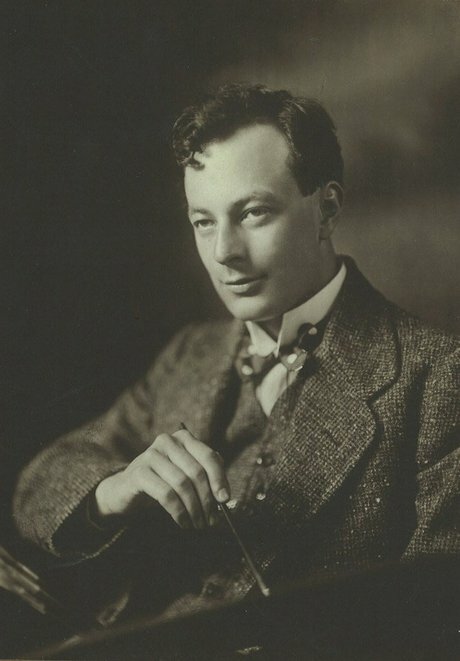 Roland Wakelin was a central figure in the group of early experimental artists who were crucial to the development of modernism in Australian art during the early 20th century. Born in Greytown, New Zealand, in 1887, Wakelin initially pursued a career with the Land and Tax Department in Wellington. His career in art began with part-time training at Wellington Technical School and participation in an exhibition at the New Zealand Academy of Arts in 1910. In 1912, he was enticed across the Tasman by the ‘stimulating atmosphere’ of Sydney, which was emerging as a dynamic centre of industry and culture during the interwar years. The bustling city and light-filled harbour provided stimulus for Wakelin and his contemporaries as they created works of saturated colour and bold design that were in concert with Australia’s new modernity. After arriving in Sydney, Wakelin immediately joined the Royal Art Society and continued to receive training, by artists Antonio Dattilo-Rubbo and Norman Carter alongside prominent students Grace Cossington Smith, Roy de Maistre, Niel A Gren and Norah Simpson. Wakelin famously recalled their first taste of modern art when Simpson came back from England in 1913 and circulated black-and-white images of work by Paul Cézanne, Paul Gauguin and Vincent van Gogh. These influences, along with the practice of divisionist painting espoused by Dattilo-Rubbo himself, are apparent in the broken brushwork and lively colour of Wakelin’s earlier paintings such as The outcrop 1915 and Portrait of Ginger West c1915, which count among the first examples of post-impressionism in Australian art. Cézanne became an important influence on Wakelin as he focused on essentialising the ‘basic truth’ or ‘life’ of his subjects by ‘giving movement to his lines – vitality to his colour’. Impressionist E Phillips Fox was also an important model, particularly his work The ferry c1910-11; its unconventional composition is said to have informed Wakelin’s Down the hills to Berry Bay 1916. Wakelin, along with de Maistre, was responsible for paving the way for abstraction in Australian art through the ground-breaking Colour in art exhibition at Gayfield Shaw’s The Art Salon, Sydney, in 1919. Wakelin and de Maistre explored the idea of colour-music synchromism in works that imaged local scenes in intensely coloured and radically simplified compositions. Inspired by investigations into colour-music harmonies which the duo had been experimenting with since 1918, and alert to the model of the American synchromist painters, Colour in art marked a definitive shift away from naturalism, concurrent with developments in Fauvism, cubism and orphism overseas. Howard Ashton and Julian Ashton, conservative proponents of the Australian school of landscape painting, were dismissive; however, Wakelin and de Maistre received backing from some members of the public and sectors of the press as well as their artist peers. During the early 1920s Wakelin abandoned colour-music exploration in favour of the tonal realism of Melbourne artist-teacher Max Meldrum, which made a short-lived impact on the Sydney art scene, exemplified in Wakelin’s Self-portrait 1920. Wakelin and his family departed for Europe in 1922 where he encountered firsthand works by his modern painter heroes in London and Paris. He returned to Sydney in late 1924, devoted once again to post-impressionism, and held his first solo exhibition at the Macquarie Galleries in 1925. Margaret Preston, at the time Australia’s foremost modernist, praised these works as ‘paintings by a modern’ in her entry for the catalogue. By the early 1930s the tide of critical opinion was beginning to ebb in favour of modern art and Wakelin was beginning to be rightfully acknowledged as a pioneer in Australian art. 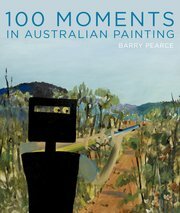 He was subsequently included in the major 1938 survey 150 years of Australian art and was also the subject of a 1942 retrospective at the Art Gallery of NSW. From the mid 1930s until the 1960s, Wakelin’s works – predominately regional landscapes and urban scenes, but also some portraits and interiors – entered a romantic phase characterised by moody light and shadow, except for a late group of bold still lifes which demonstrated a return to post-impressionistic composition and colour usage. Cézanne was a major influence in my life: once I made the mistake of trying to paint as he did. Not for long, though. I wanted too much to be myself, and all my life I’ve tried to be myself. If an artist – or anyone else for that matter – succeeds in being himself he has achieved something. Throughout this period Wakelin continued to show with Macquarie Galleries and Society of Artists, and occasionally with the Contemporary Group. He was a simple man but his dedication to painting was absolute and it showed in his work… he selected simple subjects and, once chosen, seldom departed from them, using his skill to draw out of them his particular magic, using his masterful sense of colour.